Congratulations to the Success on CHINPLAS of Hunan Farida Technology Corporation LTD.
CHINAPLAS has been regarded as the best in Asia and the second in global among the rubber and plastic fairs. The scale of the fair is expanding year by year. Held on May 20th -23rd at Chinese Export Commodities Fair Pazhou Complex, the 27th CHINAPLAS exhibition area reaches 220,000sqm. More than 3,200 sets of machines and a wide variety of plastics and rubber raw materials are on display. CHINAPLAS has been held for 26 times from its first time on 1983. As China and Asian Plastics and Rubber industry is growing rapidly, CHINAPLAS has been an annual event with the strong support of Chinese and foreign industry associations, which has been the stepping-stone to Chinese market. To cater to the global low carbon economy, the exhibition shows a variety of biological and degradable plastics, energy-saving equipment and new solutions for meeting different procurement needs to Chinese and foreign audience. 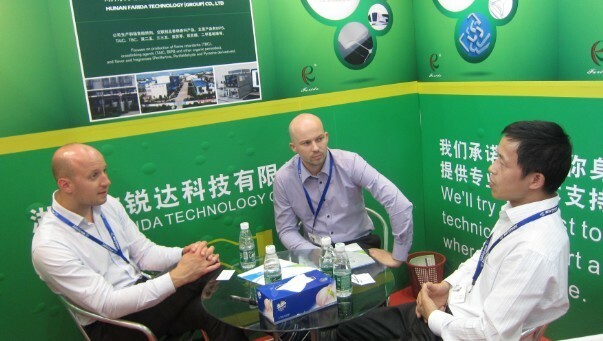 This time, Hunan Farida Tech sent a team of over 10 people to the exhibition. 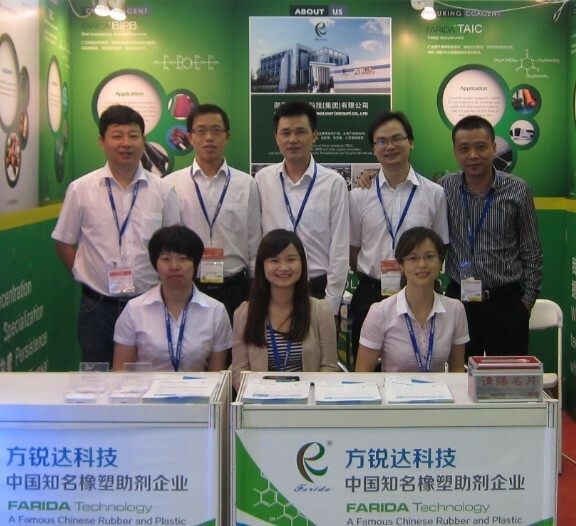 Yixiang, as a subsidiary of Farida, conducted a vigorous promotion of the core products by showing samples, pictures and specification of the latest products. Our promotion was focused on BIPB(curing agent) and TAIC-S 99%(crosslinking agent for EVA sheet of solar cell packaging film) Our BIPB and TAIC represent the most advanced quality level in China. The promotion drew a lot of attention from both China and abroad. 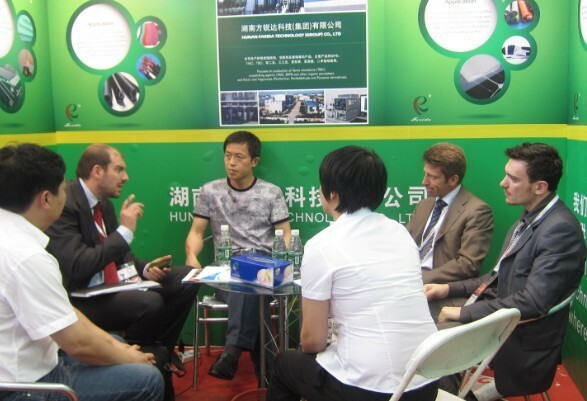 During the exhibition, we received more than 60 domestic and oversea clients. We held business negotiations with the clients from Iran, Italy, India, Holland, Austria, the U.S., Egypt and Taiwan area. By exhibition, we build a closer relationship with the domestic and oversea clients, and update the advanced technology and information in the field. In addition, we get plenty of market information, providing more business opportunities for further exploring the market. Meanwhile, more clients would have faith in Yixiang.